ION Orchard morphs into a fairground for all things fun in fashion for its Autumn/Winter fashion season this year. Landing at ION2 on 24 September, Orchard Road’s first ever Fashion Playhouse will be the pièce de résistance for the season at the mall, featuring three fashion-inspired playrooms. Discover the inner child in you as you strut down the runway themed Fashion Proportions room draped in Fall’s favourite colour, teal. The clever installation of swings distorts the depth and perspective of the room, creating a fascinating photography opportunity for shoppers to show off their new buys. 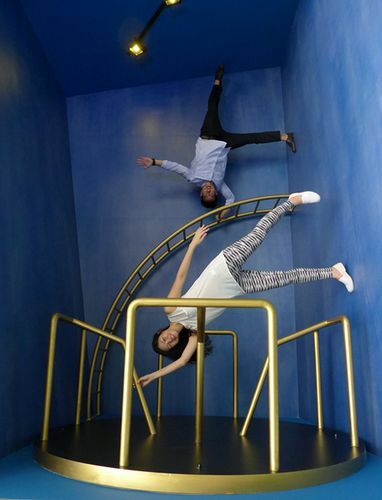 You can also experience what it’s like to be a model in the Fashion Inversion room in a challenging gravity-defying studio set. Fashioned after a photo studio reminiscent of Singapore’s old playgrounds, the room will be an inspiration for photography and fashion enthusiasts alike. If you have ever cherished hopes of becoming a cover girl, now’s the chance. 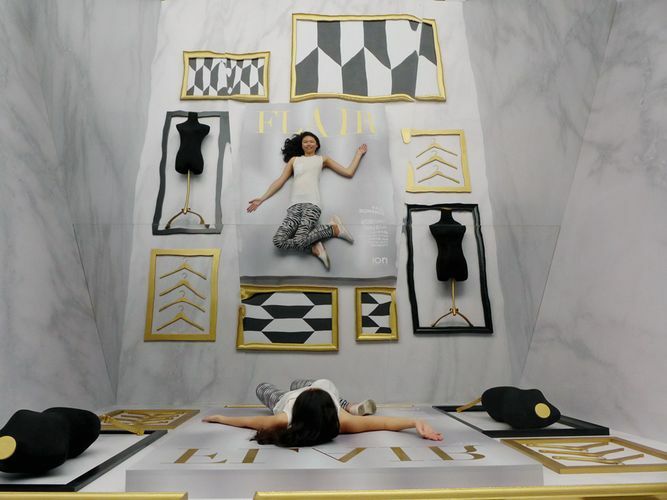 You get to be cover models of ION Orchard’s Flair magazine in the Fashion Reflection room. The opulently designed room features a fashion atelier, with a wall of fancy gilded photo frames and fashion objects such as hangers and mannequins that can be used in the photo shoot. “Retail therapy is about fun and playful multi-sensory experiences and this is how we want to welcome the Autumn-Winter season,” said Mr Chris Chong, Orchard Turn Developments’ Chief Executive. “Our shoppers are trendy and digitally connected, marrying fashion and social media for this Autumn/Winter season will be the perfect match. The Fashion Playhouse opens from 11am to 8pm daily to shoppers who spend a minimum of S$80 at ION Orchard. 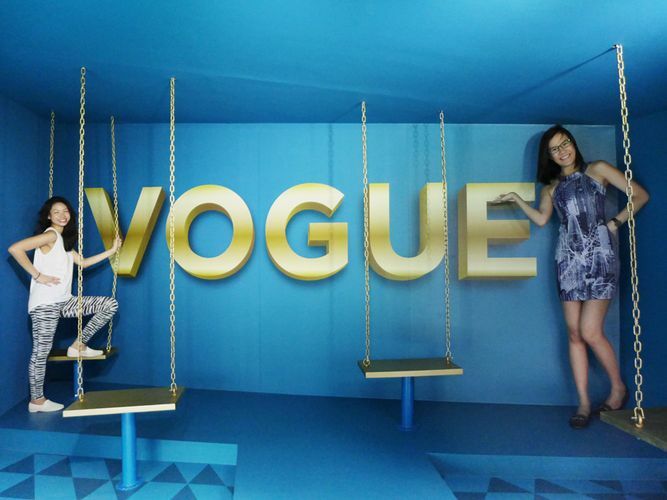 In collaboration with the Singapore Tourism Board, ION Orchard is offering free admission for shoppers to the fashion playrooms, and all they need to do is to post at least three Instagram posts with the hashtag #IONPlayhouse and #OrchardRoad. The Fashion Playhouse will be located at ION2 from 24 September to 21 October. Contingency plans have also been put in place in light of the haze. The outdoor Fashion Playhouse will be closed if the PSI readings exceed the unhealthy range (above 150). Signs will be placed at the entrance of the Fashion Playhouse to encourage shoppers to minimise prolonged outdoor activities, or redirect shoppers accordingly. “We give the highest consideration to the safety and health of our shoppers and employees, and have put in place a string of measures for the haze season. Our outdoor Fashion Playhouse will be closed if the PSI is over 150 and we have equipped staff with masks to protect them from the haze” said Mr Chris Chong. Aside from the Fashion Playhouse, shoppers will also be inspired by the larger-than-life doll-houses on Levels 2 and 3 of ION Orchard. These carefully styled doll houses showcase the latest collections from the mall’s best-loved brands such as Bally, Diane von Furstenberg and Dsquared2 among others. Also part of the Autumn Winter Fashion Season are a series of shopper workshops and shopping deals throughout the season, including the perfect accessory this fall – a limited edition Dian Von Furstenberg scarf – with a minimum of $1,000 spent.